The Rivers State Governor, Nyesom Wike has invited leading European investors to come and establish business in the state saying that the government has eliminated all impediments to investment and instituted expeditious processes to facilitate the ease of establishing businesses. Speaking during a Special Investment Programme Organised for Rivers State by the Financial Times tagged: “Invest in Rivers State ” at their headquarters in London on Tuesday, the Governor Wike declared that his administration has implemented sound economic policies and programmes that have made the state the investment destination of Nigeria. 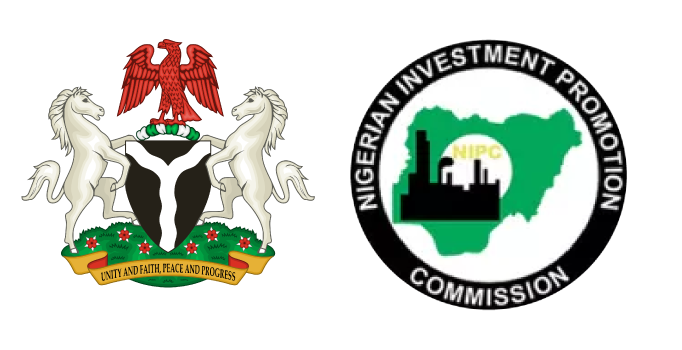 He assured intending investors that his administration has lined out incentives that has made the state investor friendly saying that the State Government under his leadership has provided visibility gap funding, minimum revenue guarantee, provision of land for development, provision of subsidies and reduction of/exemption from payment of taxes and levies. “There is a stable, focused and progressive government that is committed to the state’s economic objectives, which is to build a strong, balanced and growing economy for Rivers State. “The Government has created the most business friendly environment for Rivers State with unprecedented investments in infrastructure, tax reforms and related economic incentives to reduce the cost of doing business “, Governor Wike explained on why European Investors should invest in Rivers State. “We have given unprecedented attention to the security of lives and property, Rivers State is now safe and secure for businesses and investors”, Wike stated. He added that his administration has eliminated double taxation, instituted expeditious processing and grant of land documents, facilitation of investment processes and regulatory approvals. Governor Wike said that intending investors in oil and gas would benefit from the presence of the Oil and Gas Free Zone in the state, noting that the facility provides opportunities for the establishment of businesses across the oil and gas value chain. The governor declared that the Rivers State Government has institutionalised laws, processes and policies to protect investments in the state. He said: “Besides national laws, the Rivers State Government has also put in place an appropriate legal framework to promote and protect investments in the state . Governor Wike said as a gateway into the South-South and South-East zones, Rivers State also boasts of immense investment opportunities in the area of information and communication technology. He added that there remarkable investment opportunities in the areas of tourism and hospitality, pointing out that as the destination of choice for organisers of events, conferences and sporting events, Rivers State investment climate will reward any foreign investor. He pointed out the successes recorded by establishing the innovative Port Harcourt Pleasure Park, which is now a regional centre of tourism, attracting several thousands of Nigerian and foreign visitors. Governor Wike informed the European Investors that investment opportunities exist at the Greater Port Harcourt City Development Authority, where his administration has established a framework for public-private partnerships , land subsidies and the development of infrastructure. He also stated that there are investment opportunities in the area of manufacturing where investors can take advantage of the Trans-Amadi Industrial Estate. He added that Public Housing and property development remain another profitable outlet because of the population of the state. The governor maintained that the availability of vast land and water, make Rivers State the national hub of agriculture and agro processing. He said: “The state’s population, including the middle class, is increasing in geo-metric proportions. Besides, the availability of a young educated, skilled and semi skilled population eager for employment offers abundant workforce and large emerging and the relatively untapped market for consumer products and services. Governor Wike said that Rivers State possesses abundant natural resources, two existing seaports, an international airport and Nigeria’s second largest economy, waiting for credible international investors. In his remarks, Commercial Director of Financial Times in charge of Africa and Mthe iddle East, Mark Cowardine assured the Rivers State Governor that the message of the investment potentials of Rivers State will promote economic growth in the state. Vice Chairman of Westminster Africa Business Group, Mr Tim Johnsen noted that the presentation of Governor Wike has highlighted key areas of investments to be explored by European Investors. The Chief Executive Officer of Invest Africa and United Kingdom Business Council for Africa , Karen Taylor said that the State Government has redefined the economic advantage of Rivers State, making it attractive to the world. Leyla Boulton, Editor, Special Reports of Financial Times said that Rivers State has become Nigeria’s leading economic destination due to the programmes initiated by Governor Wike. Imad Mesdoua, Senior Consultant at Control Risks expressed satisfaction with the quality of information and opportunities that Governor Wike has exposed to Europe on Rivers State.